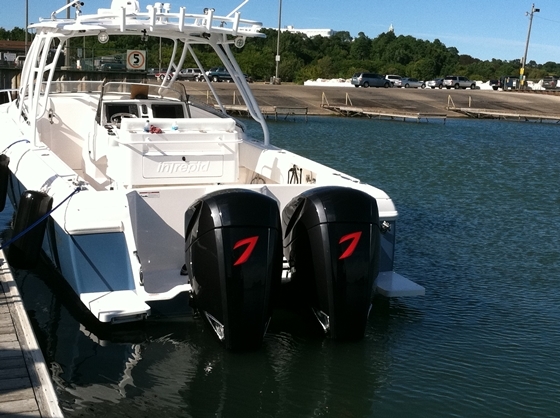 These brawny V8s are being displayed at the fall boat shows -- and steadily refined. I caught up with Seven Marine Vice President Eric Davis this week as he was preparing to display a pair of Seven Marine 557 outboards on an Intrepid 370 Cuddy at the Ft. Lauderdale International Boat Show, which opens on Oct. 27. 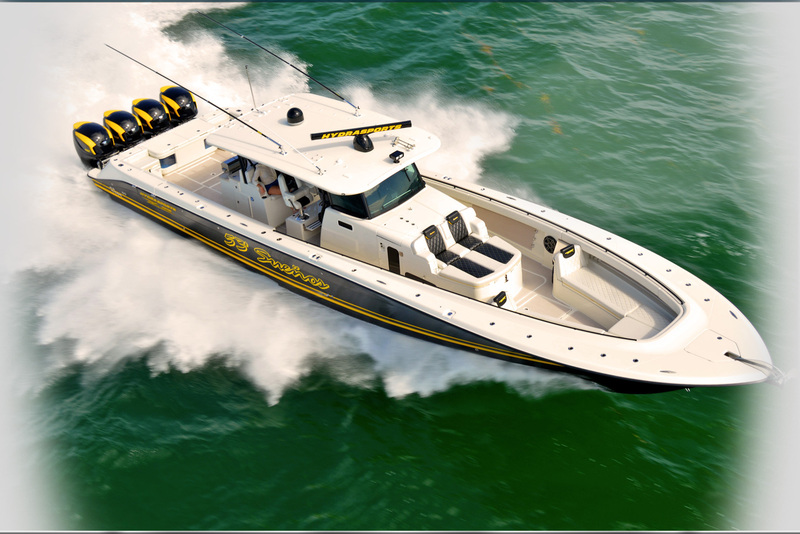 You’ll recall the Seven Marine 557, a 557-hp outboard powered by a supercharged 6.2-liter GM V8 engine, debuted in February at the Miami International Boat Show, where crowds gathered for a peek under its cowl. 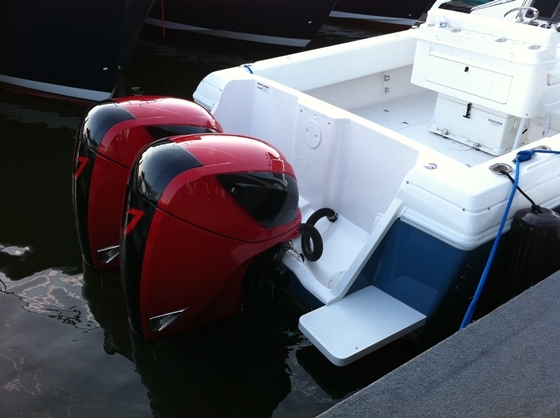 Seven Marine 557 motors were dressed in brilliant red bodywork for display at the Annapolis Boat Show in early October. 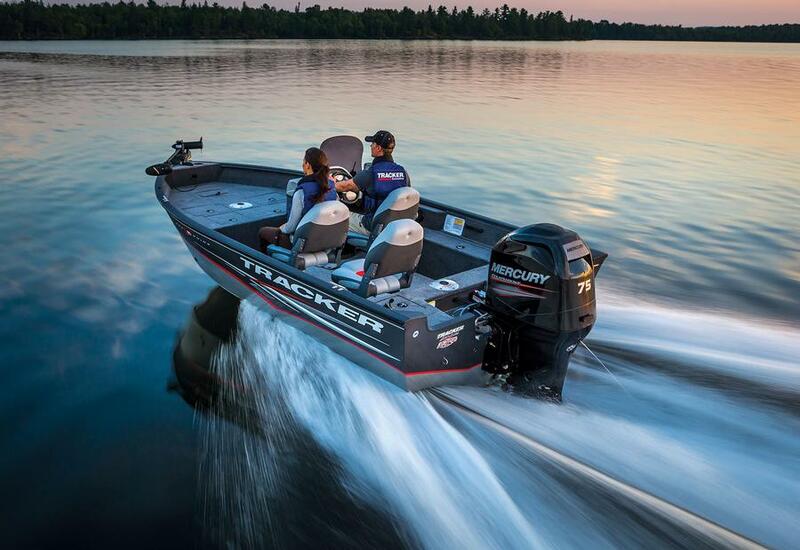 In April, we revealed that Seven Marine had made a design update to the motor’s transfer case to make it easier to change the final drive ratio to match the weight and performance potential of a wide variety of boats. Since then, Davis says the motors have been engaged in sea trials and have received further updates, specifically to the heat exchangers and water pumps in the closed cooling system, which “increased cooling capacity to ridiculous levels,” according to Davis. He adds that the overboard exhaust system has been modified to produce a throaty growl when the motor is started, but to emit a pleasing tone at idle and be quiet as the motor is powered up. 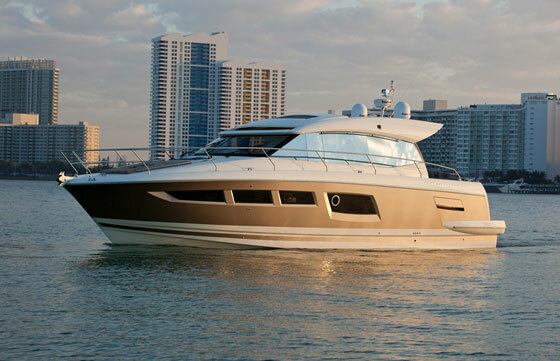 Seven Marine is conducting sea trials of its 557 outboard on this Intrepid 370 Cuddy. 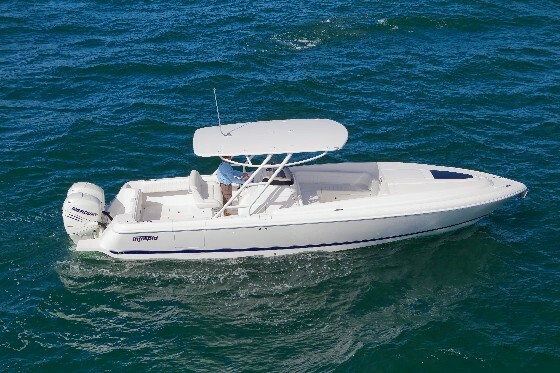 Davis said the first sea trials were conducted with a single Seven Marine 557 outboard on a 30-foot boat, and then a pair of the motors were mounted on an Intrepid 370 Cuddy, a 37-foot sport-fishing boat with a 10-foot six-inch beam and a typical dry weight without power of about 10,000 pounds, according to Intrepid. Davis says that twin Seven Marine 557 motors pushed the Intrepid 370 to a top speed in the “mid-70s” with 245 gallons of fuel and four people on board, in 67-degree air and two- to three-foot seas. 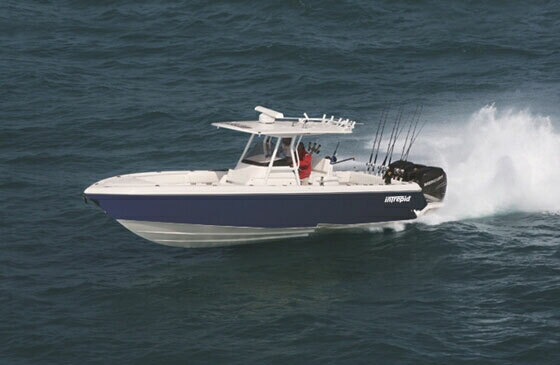 According to Intrepid, the 370 Cuddy rigged with triple Mercury Verado 300 motors has a top speed of 68 mph. To see a video of the Seven Marine/Intrepid test rig in action, visit the Seven Marine video gallery. Davis told me that testing and sea trials will continue through the winter, and that he's aiming for production and delivery to begin in the second quarter of 2012. 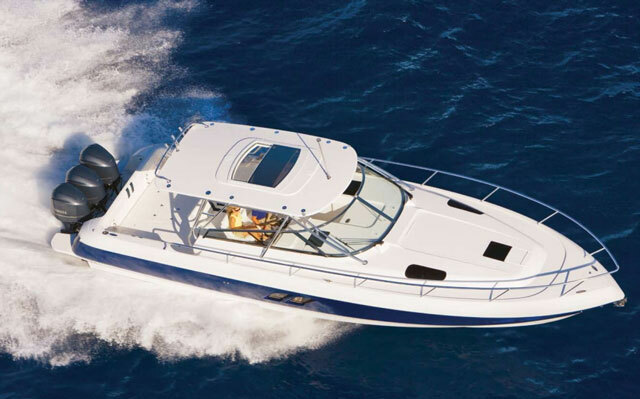 See our latest update on Seven Marine, when we had the chance to check out the new production models.